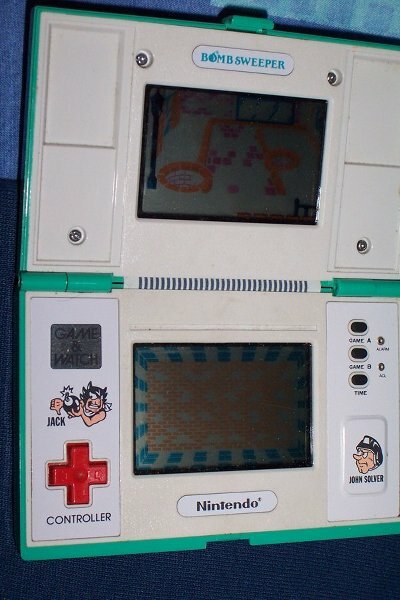 Any retro gamer worth his salt will at the very least be aware of Nintendo's famous Game & Watch range. Most of them will probably own one at the very least. 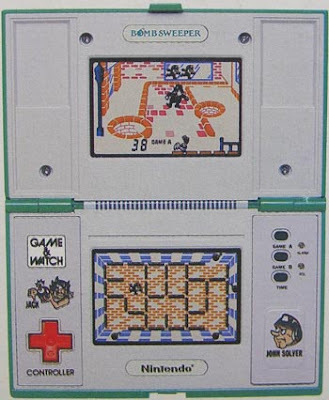 But if you've never heard of them, they're a pretty simple concept: Combine the best parts of LCD-based gameplay with the features of a clock (including an alarm). Except, most LCD-based games were pretty crappy. Nintendo, however, got some things right... Simple concepts and simple games make successful games. Well, they did back in the good old days. 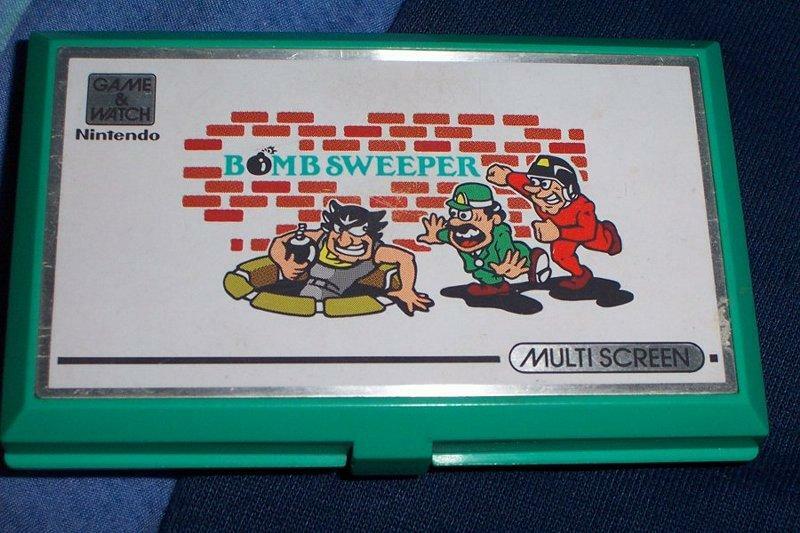 Bombsweeper was one of the best LCD based games (pre-Gameboy) you could buy. And guess what... it was a simple concept. In fact, it's kind of like Pengo or whatever variation of that you like to call it. The naughty Jack has decided for some reason to jump down into the sewer and plant a load of bombs. The policeman on hand is highly useless, but allows John Solver (that's you, by the way) to dive in after him and defuse them all. The gameplay mechanics are simple enough... reach one of the bombs (hidden in the walls) before time runs out. This may mean negotiating a maze, or it may mean pushing walls around a bit. Simply enough, you can only push a wall if there's no wall obstructing its path. Logic is needed in abundance. The thing to remember is you only need to reach ONE of the bombs, some may just be Red Herrings. And that really is it. Almost. There's two variations to the game, Game A is a series of set puzzles with a 40 second time limit. These are much more taxing on the old grey matter, but generally leave you with plenty of time to complete the puzzle and gain points aplenty. Every ten levels you will then face a scrolling level, where you must avoid being crushed by walls as you attempt to reach the end and the one single bomb. No time limits on this bit. Game B generates mazes in a random order. Each one can be completed rather simply and in a matter of 2-4 senconds. Doesn't sound like a challenge? At first, it isn't. You start off with a 40 second time limit, but this steadily decreases until you're down to just 4 seconds for each level. Oh, yes, this is a d-pad tapping frenzy from one level to the next, with NO let-up whatsoever. BUT once again, the simple and frantic gameplay pays dividends. It's a marvellous little hand-held game. If you see one at a car boot sale, it's worth a punt. Trust me.